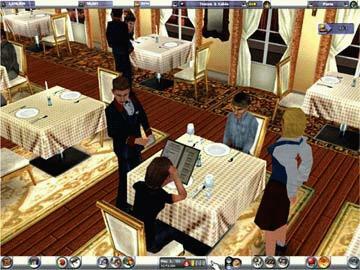 Top Restaurant Simulation game. Endless gameplay possibilities with over 300 recipes and ingredients, nearly 200 restaurant decoration items, 30 playable chefs, 5 restaurant themes, 18 story scenarios and 3 large cities to explore. Open a restaurant and make cheeseburgers, french fries, soda and other food for your customers. 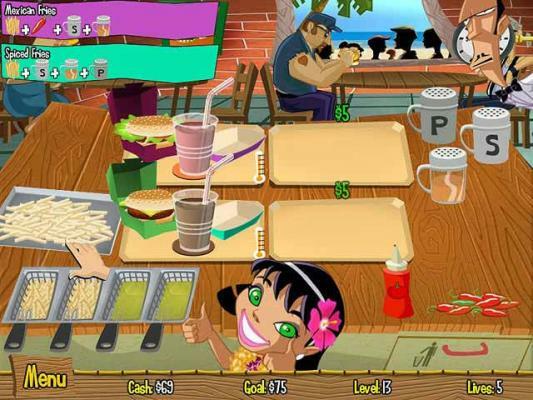 Fast Food Burger Restaurant game set in a tropical island. 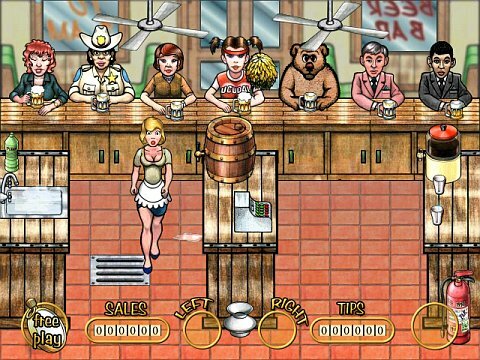 Help Patty build the best burger stand on the island in this restaurant simulation game. 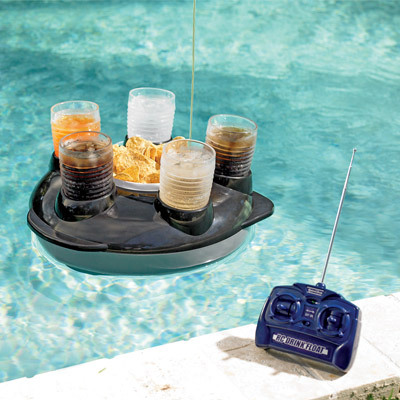 Serve Burgers, fries and Drinks. 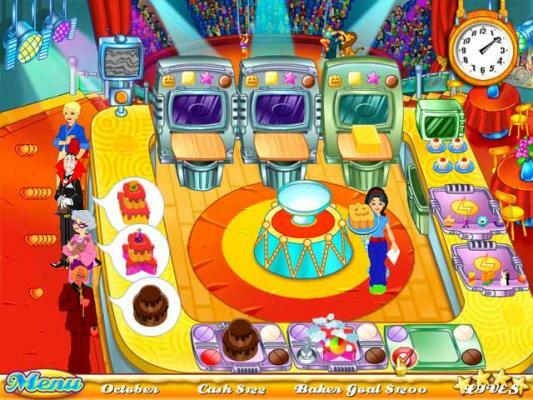 Help Jill earn enough to reopen her grandparents' bakery in this fast-paced culinary crisis! Let's get cooking as you help Jill upgrade her kitchen with state-of- the-art baking tools, while serving her ever-increasingly difficult customers! 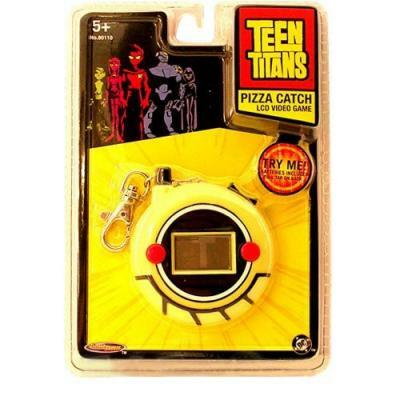 Help Robin catch all the pizza slices you can with this Pizza game handheld electronic. Miss one slice and lose a chance; miss three slices and the game is over. Enter a virtual world where romantic & fine dining is present. Choose your Avartar and enter an awesome virtual world where you socialise with others through avatars. 13yr+ (13 to 18yrs parent consent required). The PAC-MAN Pizza Parlor is open for business! Help PAC-MAN and Cathy making pizzas and serving hungry customers. 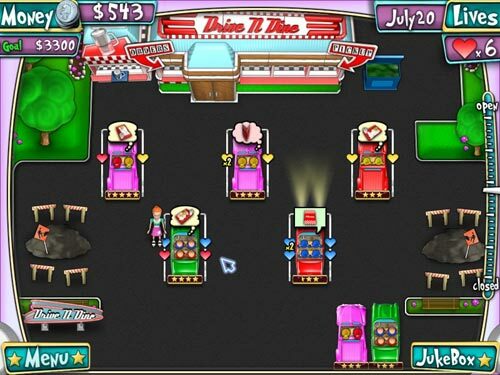 Manage your own drive-in diner restaurant. career mode and plan your investments and upgrades, or play survival mode and take each day as a challenge. Experience the show's pressure-cooker atmosphere as you go through a series of kitchen and dining room challenges. Start download Hell’s Kitchen. Play Fast Food Restaurant games. Feed Burgers to a host of hungry patrons before they leave in a huff at your very own Stand O' Food! Speed and planning are the key ingredients to success! 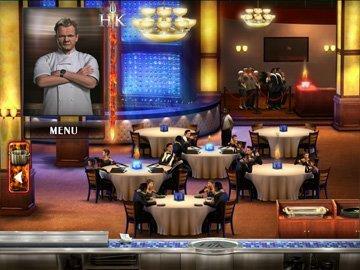 Roll up your sleeves for fast fun in this tantalizing restaurant simulation challenge. 7 restaurants, tasty meals and 5 customer types. You're in charge of your own pizza delivery empire! Match incoming orders with your Pizza kitchens to deliver your pizzas fresh and on time. 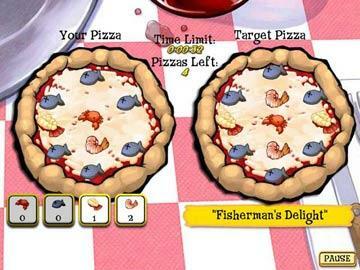 Use the Pizza Editor to create your very own pie's! Collect up to 26 unique pizza toppings! Help the beautiful Betty leave her workplace and buy her own island in the Caribbean! Serve the most fun and wacky characters in 4 different bars around the world. For all ages! 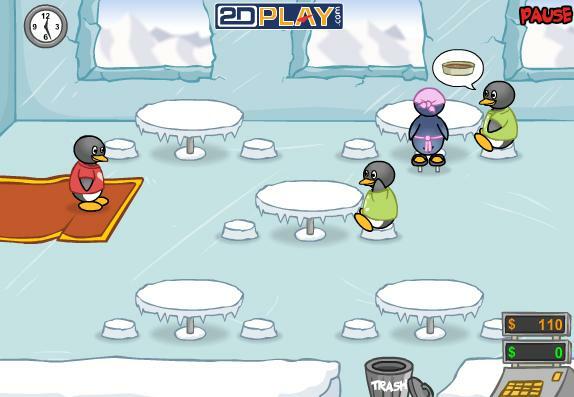 The penguins have opened a restaurant. Help the penguins turn their business in a successful enterprise. Just click and point. Ice Cream Tycoon Ice Cream Simulation Business. Use 4 ice cream delivery trucks. 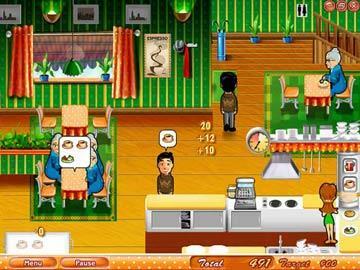 Family Restaurant Cook in your father’s kitchen restaurant. Create your own recipes! Teddy Tavern This bear can cook! 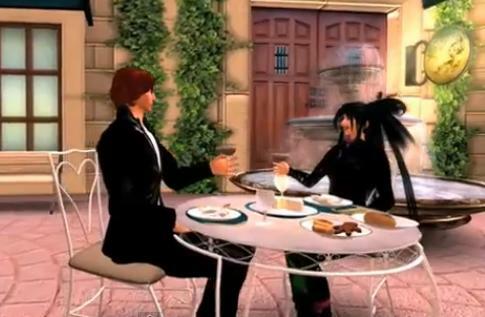 » Romantic Dining Second Life Romantic dining in 3d world where you interact with others through avatars. 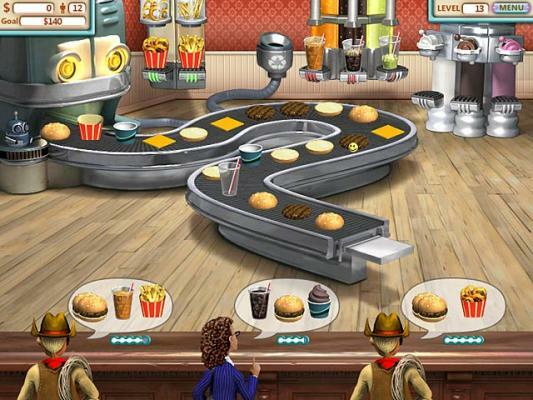 » Burger Island Play the basic web free onlne restaurant game version of Burger Island. Featuring limited free online play. 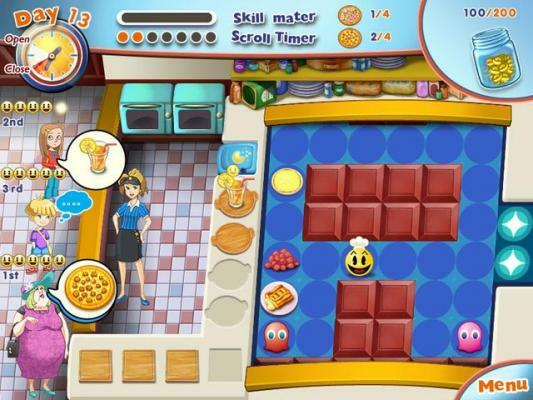 » Pizza Frenzy Match the pizzas as close as possible. Click on the ingredients and place on the plain pizza base. 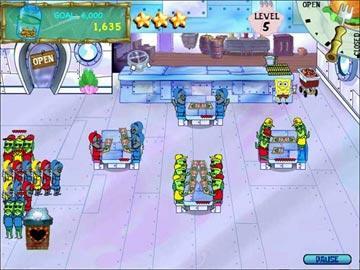 » Family Restaurant Take over the family restaurant, cook meals, and make a 5 star restaurant.